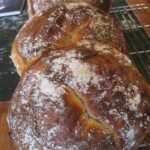 Bicycle bread - the most beautiful bread in the world? Bicycle bread – the most beautiful bread in the world? Well, it is the global launch of bicycle bread. So called because it looks a bit like the tires on my bicycle after a long winter. Don't let that put you off. This is a brilliant, delicious, beautiful and tasty bread (I am so impressed with myself I may explode sometime soon, clearly - or else maybe one of you will shoot me) and it will be on sale from tomorrow at The Real Cheese Shop in Barnes along with Emmeline's cracker bread. 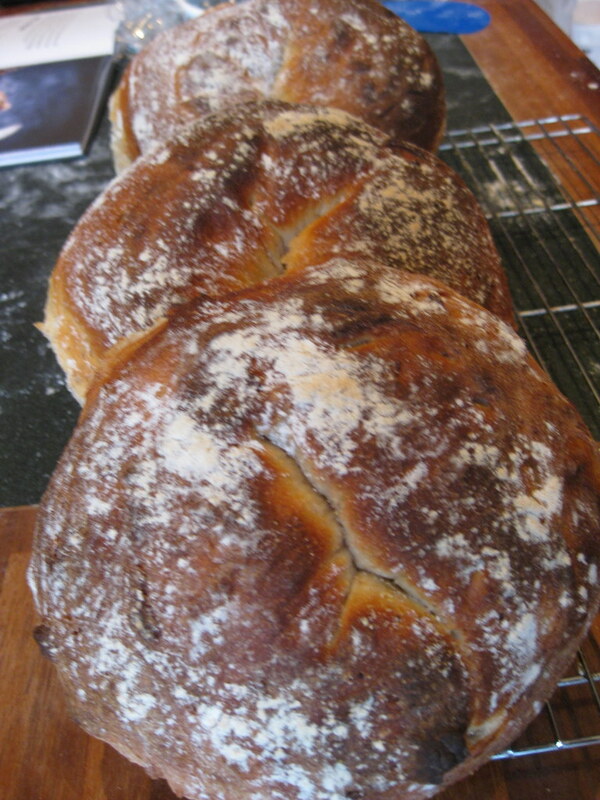 In this bread, shaping is all....recipe below. If you want to speed it up, 6 g yeast. Knead all the ingredients together without the salt for 10 minutes. Add the salt and knead for another 5 minutes. Let rest for one hour. Pull out of the bowl and stretch and fold and then replace in the bowl and let rest for one hour. Pull out of the bowl and divide into four equal portions and stretch and fold, forming into a loose ball. Stretch and fold and shape into loose balls. Stretch and fold and shape into firm sausages. Slit from top to tail, leaving a good couple of inches (5 cm) at the top and the tail and turn inside out. Shape into circles and place on a baking tray that you have covered with polenta. Cover and let rest 45 minutes to one hour. Bake in a preheated oven at 230 degrees for 30 minutes. Knead and let rest in the bowl for 60 minutes. Remove and divide into four pieces. Shape into the firm sausages and let sit for 5 mintues. Slit and shape into circles and let rise for 30 minutes. 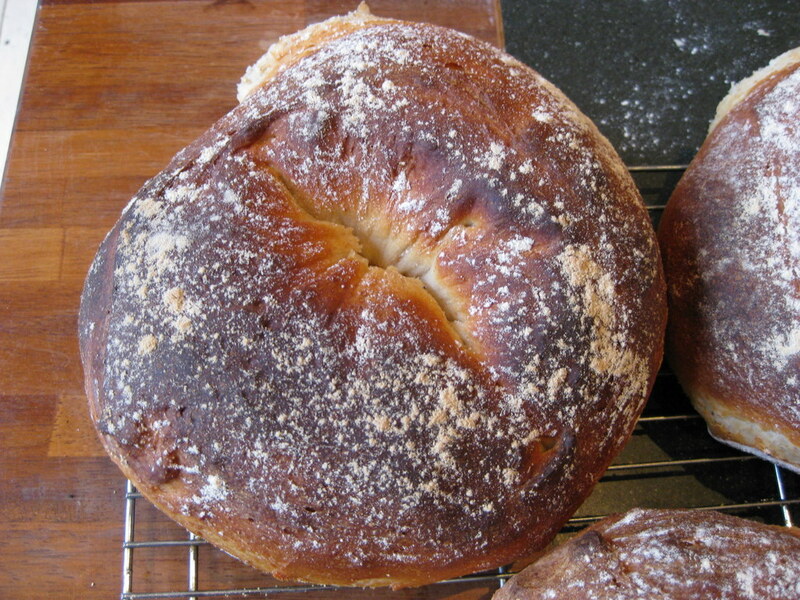 This bread *is* beautiful and being a bicycle fanatic I love that it's form takes inspiration from your bike tyres! very easy to make! give it a try and sent photo! Worked a treat! Lovely thick crunchy crust yet soft inside.